Can you tell if you are a coachable person? Do coachable people do better at work and in business? This month, I am writing about the value and impact of being of a lifelong learner. One of the most important traits of the lifelong learner is that they are coachable. Here is something to consider. Even the best athletes and top executives in the world benefit from coaching, whether formally or informally. Being coachable is a sign of confidence in one’s ability to continue to grow in ways that matter professionally and personally. It begins with being employable. A smart interviewer or hiring manager can recognize an attitude of being coachable, coupled with the willingness to take on responsibility. 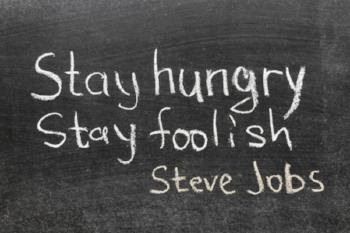 Recent graduates will find the path to their first job goes more smoothly when they demonstrate this attitude. From there, coachable people find that they are promotable because they act on constructive and challenging feedback. Often, they become leadership material. Receiving coaching does not always mean taking remedial action. Even the best leaders find that being coachable can help them become even better leaders, inspiring employees to be more engaged and productive. Ask yourself how top athletes view their career and the outside advice provided by their coach. The savviest elite athletes take a CEO view of their career. That is, they are in charge of making smart, strategic decisions about managing their physical talents and hence, their career. They look to their coach/coaches to leverage their strengths, ensure longevity and help address blind spots. All the great advice in the world from a cadre of smart coaches is for naught if the athlete (or professional) in question fails to take heed. The coachable person listens, reflects and takes action judiciously. That is, they sift through the feedback and make intelligent decisions about what matters and which improvements will net the most significant gains. Take steps to ensure that you are coachable. Accept constructive feedback without being defensive and consider it carefully. When such feedback comes from someone with your best interests and the interest of your company in mind, it pays to integrate that wisdom.